Got two exhibits lined up this January so I’d say 2013 is definitely off to an awesome start! My Greek Myths x Circus series, along with the works of Ana Isip, will be exhibited at the Galleria Volada (Corridor Gallery) of the San Beda Alabang Museum. 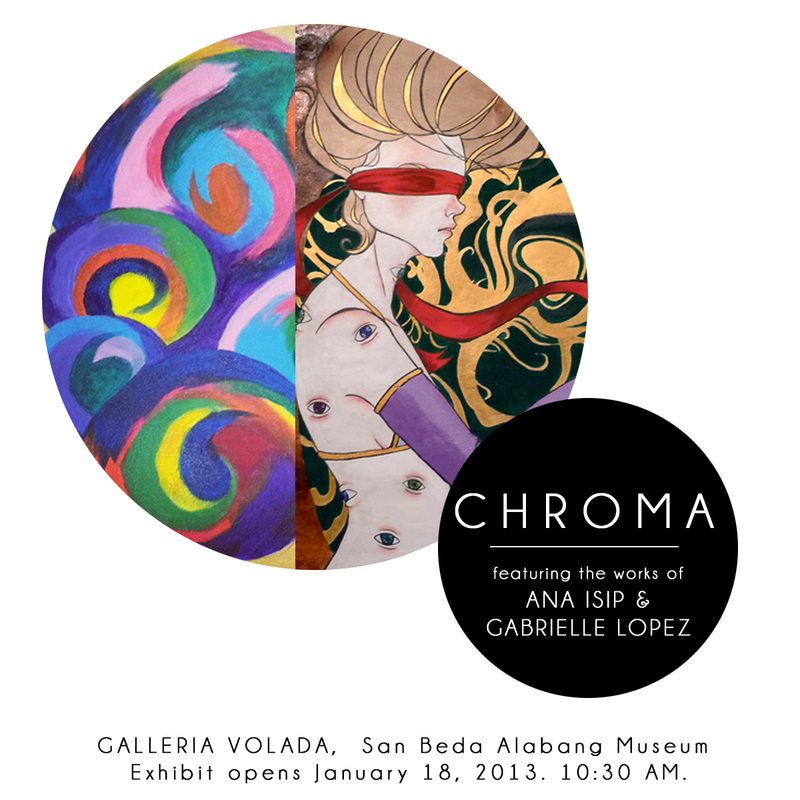 The exhibit opens this Friday, January 18 at 10:30 AM and will run until February 12. Posted byGab 13.Jan.2013 21.Jan.2013 Posted inArtdump, Oh How I Ramble OnTags: Alabang, Ana Isip, Chroma, gabrielle lopez, Galleria Volada, Museum, San BedaLeave a comment on Kicking off 2013 right!